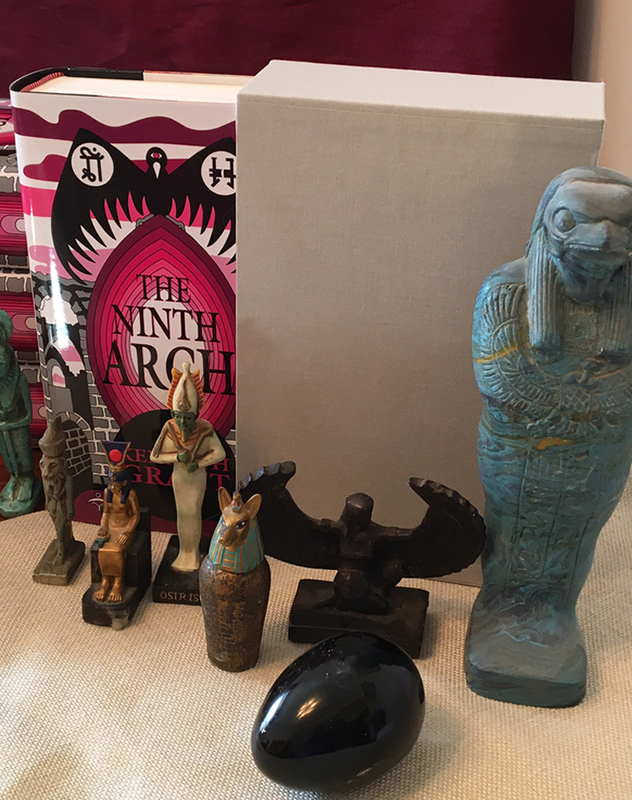 The republishing of the Typhonian Trilogies reaches its climax with the long-awaited and much-anticipated release in February 2017 of the ninth and final volume in the series, The Ninth Arch, which completes the third of the three trilogies. Originally published in 2002 and long out of print, this enhanced edition of 1500 copies is freshly typeset in an octavo format of 592 pages. 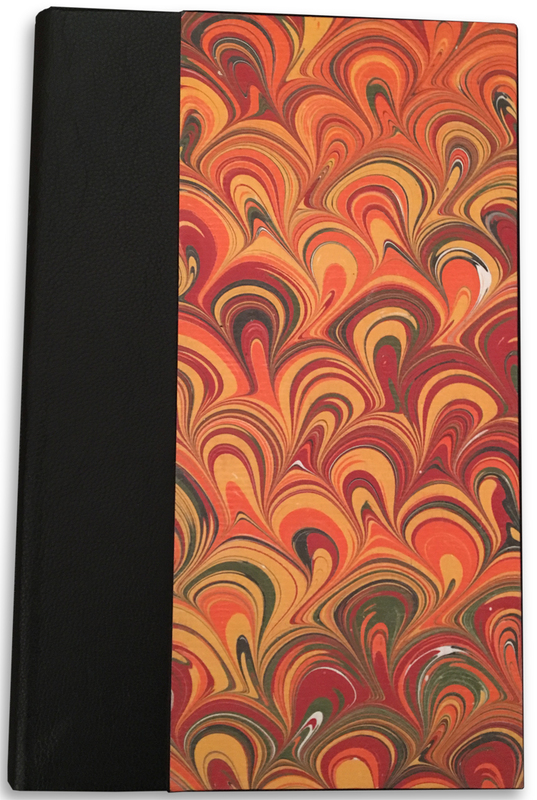 Sewnbound hardback, with a colour frontispiece, a 32-page section of colour and half-tone plates, illustrated endpapers and a full-colour dustjacket, this republication incorporates corrections noted in Kenneth Grant’s personal copy of the book. Many of the plates have been rephotographed, and some are printed in colour for the first time. Six of the plates are new, and are taken from an illuminated Book of the Law created by Steffi Grant in the mid 1940s. More details about the content of the book can be found here. 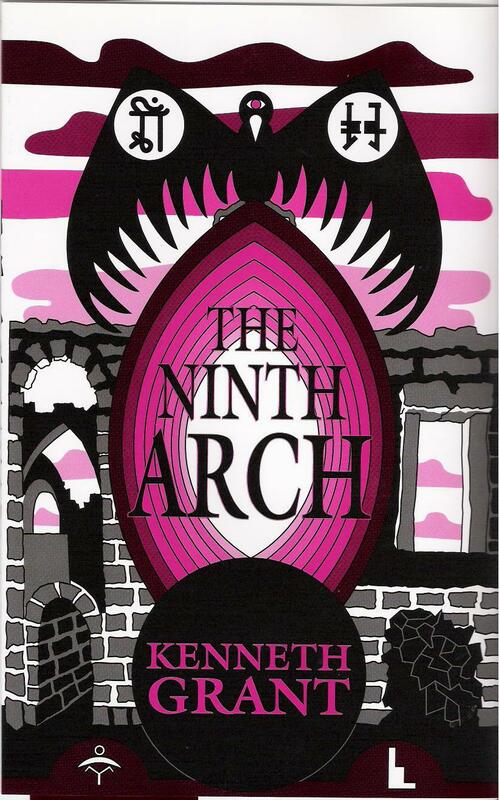 The standard edition, ISBN 978-1-906073-35-0, is bound in black cloth and priced at £30.00. Postage and packing is an additional £6.00 within the UK, £10.00 within European countries outside the UK, and £18.00 elsewhere. For customers in Canada and the USA, the standard edition should be ordered from Holmes Publishing, our distributors there. For all customers not in Canada or the USA, payments can be made directly by Paypal to starfire.books@btinternet.com (in Sterling only) or by accessing the Paypal shopping cart buttons here. The deluxe edition, ISBN 978-1-906073-36-7, is limited to 111 copies, and a few copies are still available. The boards are bound in hand-made paper (see image, left) with an additional leather quarter-binding across the spine. The book comes in a slip-case which is bound in a light grey cloth (see image, below right) with full-colour dust-jacket, with black and white custom printed endpapers, and with top and tail bands to the binding. Each copy is hand-numbered, and signed by Steffi Grant. The price is £130.00. Postage and packing is an additional £7.00 within the UK, £18.00 within Europe, and £25.00 elsewhere. Payments can be made directly by Paypal to starfire.books@btinternet.com (in Sterling only) or by accessing the Paypal shopping cart here.